Released on Monday 19th December 2016. 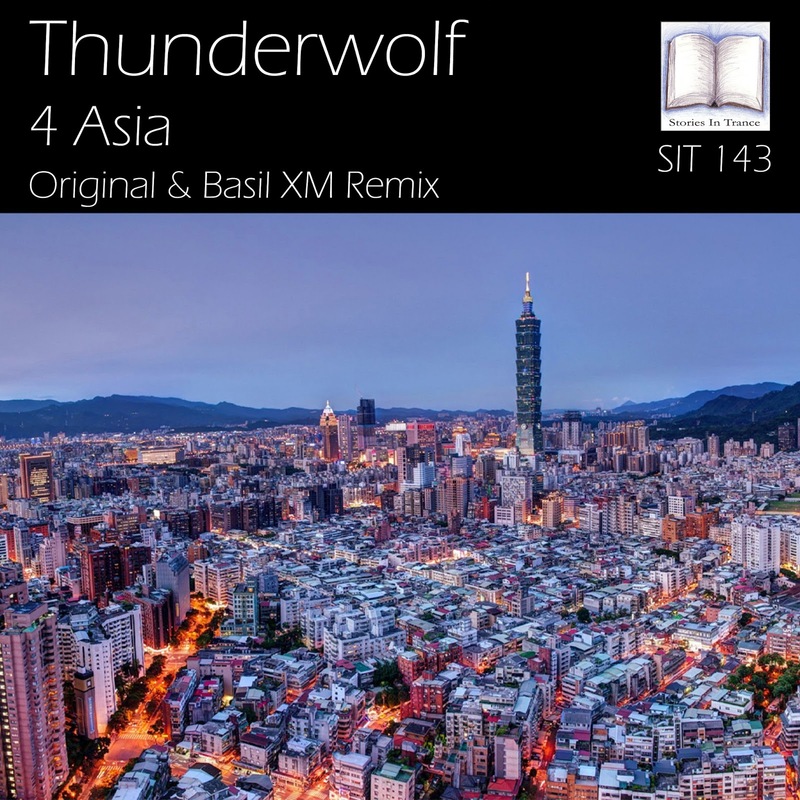 Stories In Trance move on to SIT 143 by Thunderwolf with the two track single 4 Asia. Leading off is the original. Taiwan’s finest, Tseng Chih Young, made his debut with us in the Summer of 2013, and since then SIT have been proud to present his many outstanding tracks and remixes under the now well established Thunderwolf moniker- the most recent being his remix of I'll See You Tonight (SIT 131). This time he takes his newest original down an uplifting route and the end result is something really special indeed. 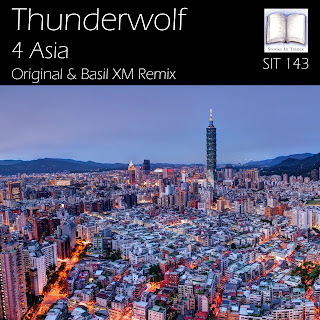 Superbly crafted melodic components are enhanced further by rich atmospheric effects and garnished brilliantly by Asian inspired layering giving the track an authentic Thunderwolf flavour. This is another fantastic creation from a truly excellent producer. 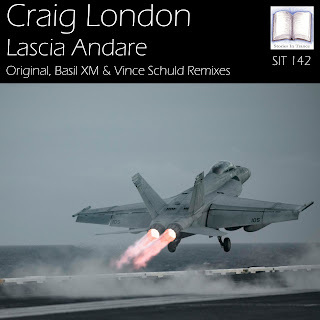 Supporting the original is the Basil XM remix, appearing again fresh from his recent appearance on SIT with his stunning rework of Craig London's Lascia Andare (SIT 142). Continuing with the more uplifting style of his previous work he uses the instantly recognisable atmospherics to great effect, along with an energetic lead melody, powerful kick and mids and crystal clear percussion. With the finishing touches being applied by SIT's masterful Dan Garton the end result is something very special indeed. Stories In Trance - Chapter 37 (End Of 2016 Special) Is Now Online! Well, with the end of 2016 in sight it's time to present our final Chapter of the year, so here we have it- Chapter 37. To celebrate the end of 2016 we showcase some of our favourite tracks from this year that have not yet featured in any of our previous episodes. Including some storming tracks and remixes from Den Rize Presents Blur8, Miroslav Vrlik, Vince Schuld, Mart Sine, Thunderwolf, M.I.K.E. Push, A.R.D.I., Mac & Monday, Mike Van Fabio & Cherry, Craig London, DJ Harn & Spins & Flatlex, make time for this one! Released on Friday 4th November 2016. The Stories In Trance legacy continues to unfold, and next up we offer SIT 141 by Vince Schuld with the three track single Places We've Never Seen. Up first as always is the Original mix. Vince is back with another original creation after his most recent remix of Dina (SIT 139). The strong lead melody is underpinned by an ever evolving and unique structure added to the deep rich lows and expertly crafted melodic layering. When all is said and done this is a beautifully produced track from a very talented artist. The first of the two remixes comes from I5land. Czech producer Ludek Simcik (under his now familiar I5land moniker) follows on from his last appearance on SIT - a cracking remix of Craig London's Crystal Forest (SIT 138) - with another great remix. He uses a powerful driving low-end whilst keeping the melodic feel of the original, in addition to well defined layering which keeps the track progressing throughout. Another fantastic creation from I5land! The second remix comes from Sanglare. We are delighted to welcome back Sanglare to SIT after their break from producing of nearly two years, with their last appearance being Thunderwolf's Second Life (SIT 99). Once again they remind us all why they're held in such high regard by the Stories In Trance team with a truly stunning remix. Using the lead melody to great effect whilst perfectly complimenting them with deep, textured mids and bass. These guys really know how to produce big room trance and it is a real bonus to have them back in trance scene. What a way to mark Sanglare's return, welcome back! Stories In Trance Chapter 34 Is Now Online! Stories In Trance - Chapter 34. This episode sees us turn our focus towards the best modern and future trance classics. Featuring some of the finest tracks and remixes from Matt Mancid, Falcon, PureNRG, Illitheas, Edelways, M.I.K.E Push, Airspace, Mac & Monday, Craig London & Sean Tyas & Darren Porter. Released on Friday 19th August 2016. 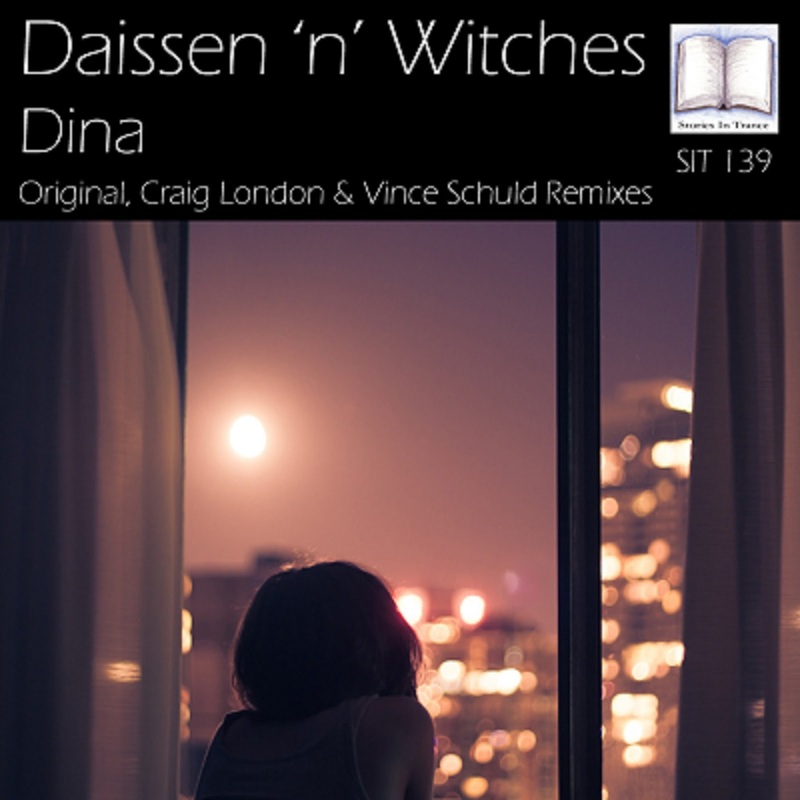 Stories In Trance present SIT 139 by Daissen 'n' Witches with the three track single Dina. Firstly we have the original mix. Giving debuts to newcomers is something that is part of the fabric of SIT, and we’re at it once again with this new duo. Sandra & Matthias Hamann, under their Daissen 'n' Witches moniker, start their production career with Dina. A beautiful and soulful piece of trance that embraces a strong melodic feel, perfectly complimented by an always interesting structure and emotional atmospherics. Supremely finished off by the mastering excellence of Dan Garton it all adds up to a fantastic track and a fabulous way to start their musical journey. 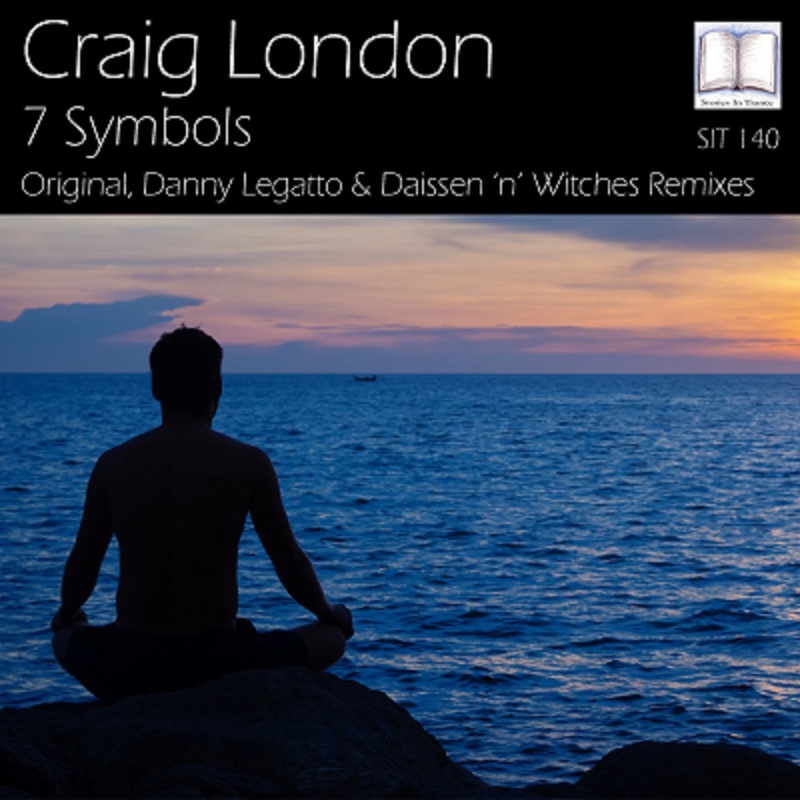 The first of two remixes comes from Craig London. 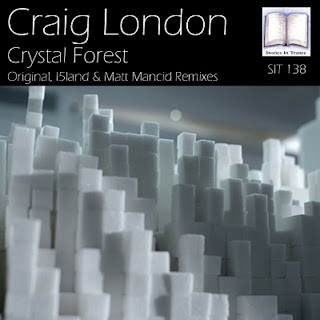 SIT mainstay Craig backs up his most recent original Crystal Forest (SIT 138) with yet another superb remix, rethinking the track with his customary energetic flavours, expertly blending an aggressive yet melodic feel, balanced perfectly with mesmeric melodic and atmospheric touches. As is now standard with Craig's work the overall production technique is of the highest quality, and again finished off by the mastering skills of Dan Garton, this is another fantastic offering from an extremely talented artist. Rounding off this impressive package is the Vince Schuld remix. Vince is back on remix duties after his seminal Satellite EP (SIT 133) and he showcases the full smorgasbord of his musical talent with this brilliant remix. The strong lead melody is underpinned by a creative and unique structure added to the deep rich lows making this a diverse track that works as a great alternative to the original mix. Stories In Trance give to you SIT 138 by Craig London with the three track single Crystal Forest. We kick off with the Original mix. SIT stalwart Craig London backs up his most recent remix of I5land Start Up (SIT 137) with yet another superb original offering. He takes this track down an energetic path, expertly blending an aggressive yet melodic feel, balanced perfectly with the subtle yet potent percussion. As is now customary with Craig's work the overall production technique is of the highest quality. Brilliantly finished off by the mastering skills of Dan Garton, this is another fantastic offering from a very skilled producer. The first of the two remixes comes from I5land. Czech producer Ludek Simcik (under his I5land moniker) makes the fifth of what we hope is many appearances on Stories In Trance, following on from his original Start Up (SIT 137) with this great remix. He uses a deep, driving low-end, whilst keeping the melodic feel of the original, with well defined layering which keeps the track progressing throughout. Another fantastic creation from the naturally talented I5land! The second remix comes from Germany's Matt Mancid. 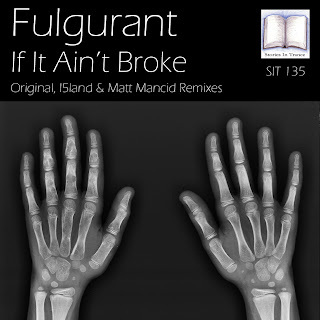 On the back of his stellar remix of Fulgurant's If It Ain't Broke (SIT 135) Matt is on remix duties again with another cracking offering. He takes the track down a truly unique path, brilliantly blending a mixture of both of Matt's uplifting and progressive styles. 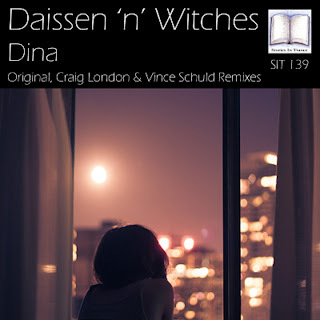 Beautifully melodic and musical, this remix is a real stand out track. Once our resident mastering expert Dan Garton had given it a final polish the finished article shines as a great alternative to the original and adds to Matt's reputation as a phenomenal producer. Stories In Trance Chapter 32 (Dan Garton Guest Mix) Is Now Online! Stories In Trance - Chapter 32 (Dan Garton Guest Mix). For this episode our college Dan Garton takes control and picks some of his favourite tracks and remixes . Featuring Airbase, Ronski Speed, Mike Shiver, Aly & Fila, Veeto & Daveij, Vaali, D.Garton Productions & Vincent De Moor. Released on Friday 1st July 2016. 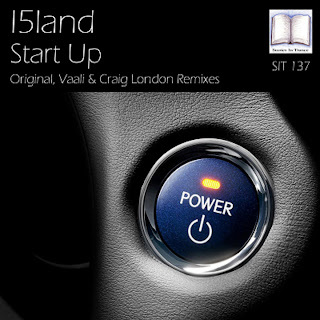 This is Stories In Trance and we present SIT 137 by I5land with the three track single Start Up. Firstly we have the Original mix from Czech producer Ludek Simcik under his moniker I5land. Making his fourth of what we hope is many appearances on Stories In Trance, he follows on from his remix of Fulgurant's If It Ain't Broke (SIT 135) with this great original piece. He uses a deep, driving low-end, whilst keeping a delicate melodic feel, with well defined layering which keeps the track progressing throughout. Another superb creation from this top class producer! The first remix comes from Russian producer Arthur Valiev under his now familiar Vaali moniker. Vaali has a vast collection of excellent tracks and remixes on SIT, most recently his fabulous original Say Something (SIT 132). Again he demonstrates a vast array of pure natural talent with this truly unique piece, perfectly blending the sublime melodic lead against deep, driving mids and lows. The great thing about this track (and indeed all of Vaali's productions) there is no genre limitations to his expressive output and he always offers up something unique. Another brilliant piece of trance to add to Vaali's epic discography. 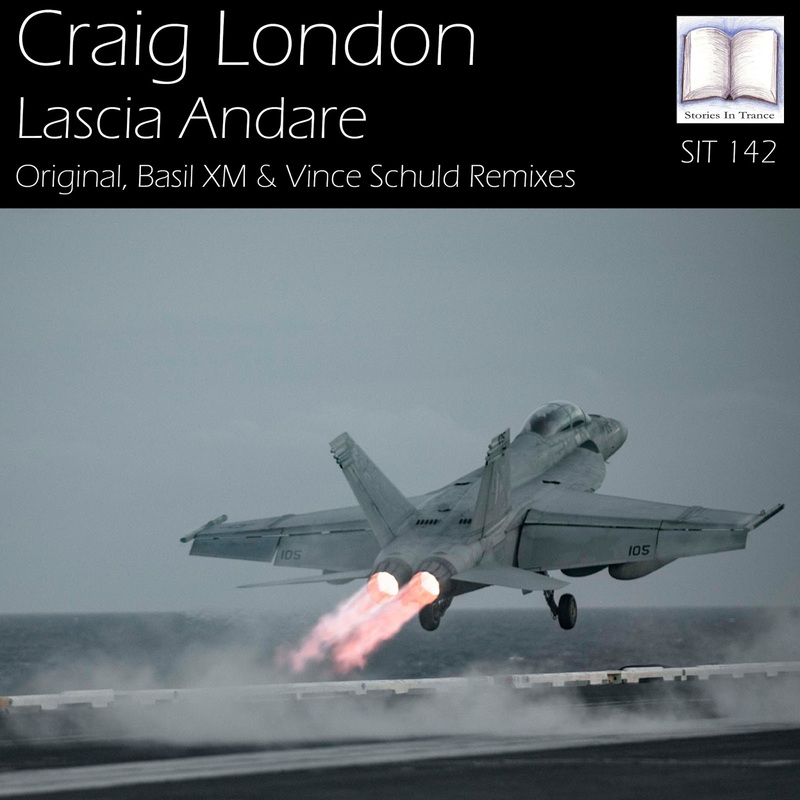 The second of two remixes is from SIT stalwart Craig London. 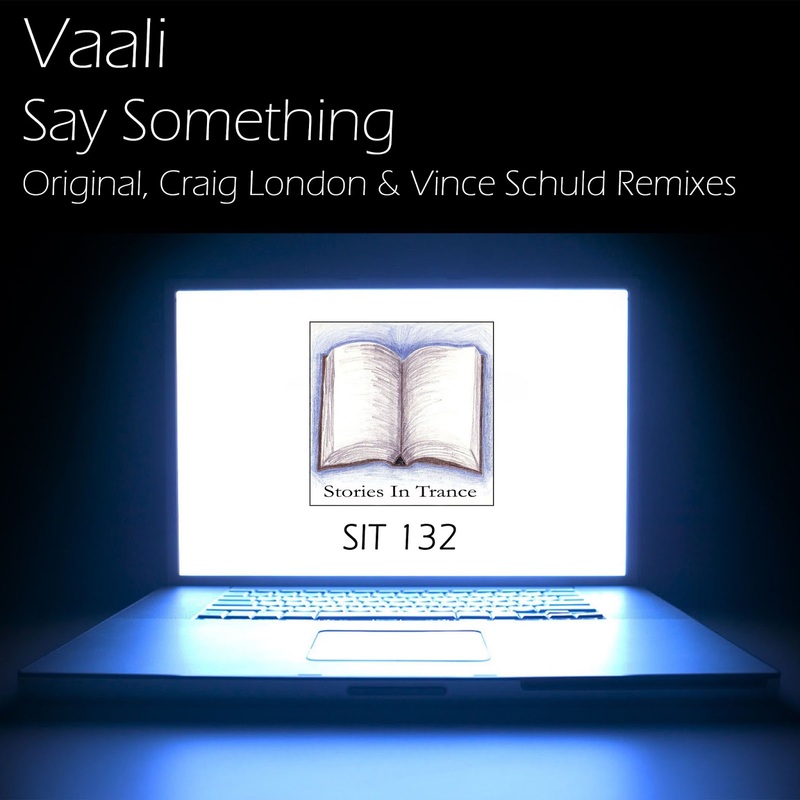 Craig backs up his most recent remix of Vaali's Say Something (SIT 132) with yet another sublime track. He takes his remix down a powerful and energetic path, perfectly crafting an aggressive yet melodic feel, balanced expertly with the subtle yet potent percussion. As is now customary with Craig's work the overall production technique is of the highest quality, something we have come to expect from his outings on Stories In Trance. Perfectly finished off by the mastering skills of Dan Garton, this is another fantastic offering from this very skilled producer and a fine way to round off surely one of the best all-round packages of 2016. Stories In Trance Chapter 31 Is Now Online! Stories In Trance - Chapter 31. The fifth episode of 2016 sees us turn our focus towards the best modern and future trance classics. Featuring some of the finest tracks and remixes from Leon Bolier Featuring Floria Ambra, Rafael Frost, Akira Kayosa, K Blank & Moelamonde, M.I.K.E. Push, I5land, Mart Sine, Basil XM, Sean Tyas & Pulser. Released on Friday 27th May 2016. Stories In Trance proudly showcase SIT 136 by Soundwave with the four track single Last Moments (Re-Lived). First up we have the Original mix. Initially released in March 2012 as part of the In Quarto EP (SIT 20) we have re-released it as part of our Back Track series and given Last Moments its own single. Italian producer Soundwave (Adrian Iamandei) who featured prominently in SIT's first fifty or so releases, gives us this mixture of pace, power and a superb lead melody. Pure uplifting trance doesn't get much better than this. 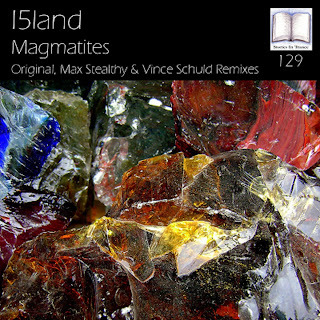 The first of the three remixes comes from Max Stealthy. As with all of Max's productions on SIT the composition is second to none: the driving lead melody and subtle usage of the beautiful and euphoric atmospheric layering all make a fantastic remix. We have always loved working with Max and with tracks of this standard it's very obvious why. A truly talented artist and a true gent, we have been working with Max for over five years now which is something we are very proud of indeed. The third track on this release comes from Danny Legatto. Polish producer Danny Legatto (AKA Roman Korbut) makes his debut on SIT with this fantastic remix. Danny has been producing for over five and first came to our attention with his superb work on Vectiva Recordings and Yaveric Records so we were delighted to get him involved with us. His production career to date has also seen him appear on labels such as Sensual Bliss, D.Max, State Control, Extrema and Beyond The Stars to mention a few. With this remix Danny sticks to his usual uplifting trance style whilst adding his own subtle touches to the piece using the lead to fabulous effect, perfectly complimented by beautiful atmospheric touches and delicate, yet potent piano layering. Another fine production to add to Danny's ever growing reputation. Rounding off the release is the Basil XM remix. Fresh from his most recent appearance on SIT with his stunning rethink of Vince Schuld's Distance Means Nothing (SIT 127), Basil is back with another fantastic remix. Continuing with the more uplifting style of some of his previous work he uses the instantly recognisable lead melody to great effect, along with driving mids, potent low-end force and crystal clear percussion. After a final polish from SIT's masterful Dan Garton the end result is something very special indeed. Released Friday 6th May 2016. 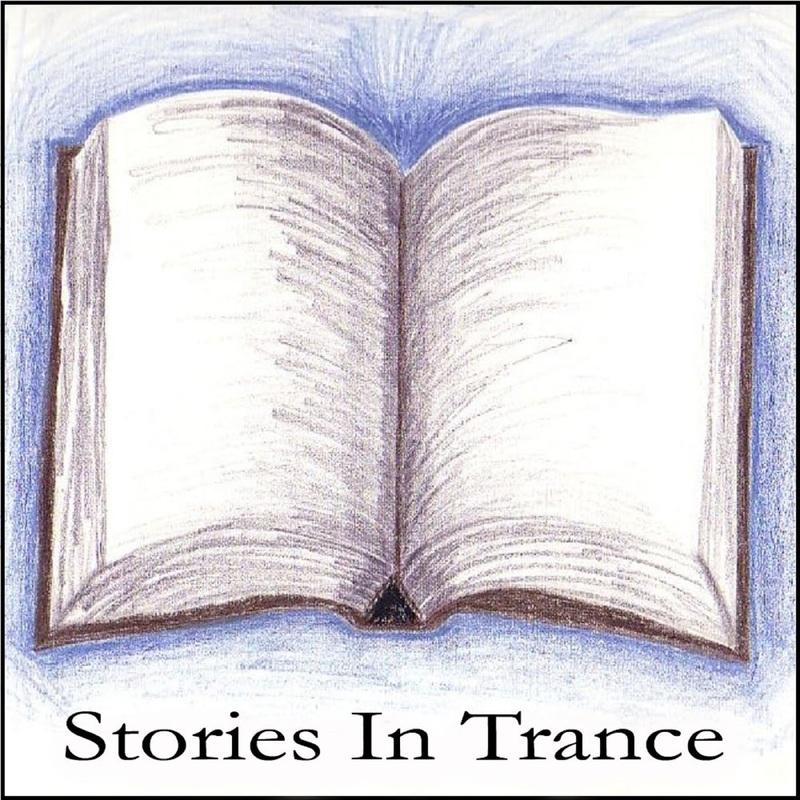 Stories In Trance give to the world SIT 135 by Fulgurant with the three track single If It Ain't Broke. As is proper, up first is the Original Mix. Fulgurant makes his debut on SIT in fine style with this superb track, the first of what we hope is many outings on Stories In Trance for this talented up-and-coming producer who came to our attention after his excellent track Suspect on Mashbuk Recordings earlier in 2016. The strong lead melody is perfectly complimented by sublime layering and warm atmospherics which give the track a beautiful feel, perfectly brought to life once again by our in-house mastering expert Dan Garton. A very impressive production from a extremely exciting new artist. The first of two remixes is from Czech producer Ludek Simcik under his moniker I5land, making his third of what we hope is many appearances on Stories In Trance with this great remix, following his debut remix of Thunderwolf's The Lost Valley (SIT 130). He adds a deeper, more driving low-end to his mix, whilst keeping the delicate melodic feel of the Original, with well balanced and subtle layering keeping the track progressing throughout. Another seminal production from this top class producer! The second remix comes from Germany's Matt Mancid. On the back of his stellar remix of Max Stealthy's One Day I Desire (SIT 125) Matt is on remix duties again with another superb offering. He takes the track down a very creative path, brilliantly fusing a mixture of both of Matt's uplifting and progressive styles. This remix is something very special indeed- a real stand out track. And for a final polish, once our resident mastering master Dan worked his magic, the finished article shines as a great alternative to the original and adds to Matt's reputation as a fabulous producer. Stories In Trance Chapter 28 (Tribute To Hard Trance) Is Now Online! Stories In Trance - Chapter 28 (Tribute To Hard Trance). The second episode of 2016 sees us turn our attention towards the best of hard trance with a special edition focusing on the finest from the harder side of trance. Featuring some of our favourite productions from JamX & De Leon, Alphazone, Deluxe DJ Team, Hypetraxx, DJ Sakin & Friends, Mass In Orbit, DJ Sabu, Skysurfer and Y.O.M.C. Released on Friday 12th February 2016. Stories In Trance are delighted to offer up SIT 132 by Vaali with the three track single Say Something. First up is the original from Russian producer Arthur Valiev under his now familiar Vaali moniker. Vaali has a vast collection of excellent tracks and remixes on SIT, most recently his imaginative rethink of Vince Schuld's Distance Means Nothing (SIT 127), but now he is back with a new original. He once again shows his vast array of talent with this truly unique piece, perfectly blending a delicate feel with a sublime melodic lead and deep, driving mids and lows. The great thing about this track and all of Vaali's productions is there is no genre limitations to his expressive output and he always offers up something bespoke. Another sensational slice of trance to add to Vaali's impressive discography. The first of two remixes is from SIT stalwart Craig London. 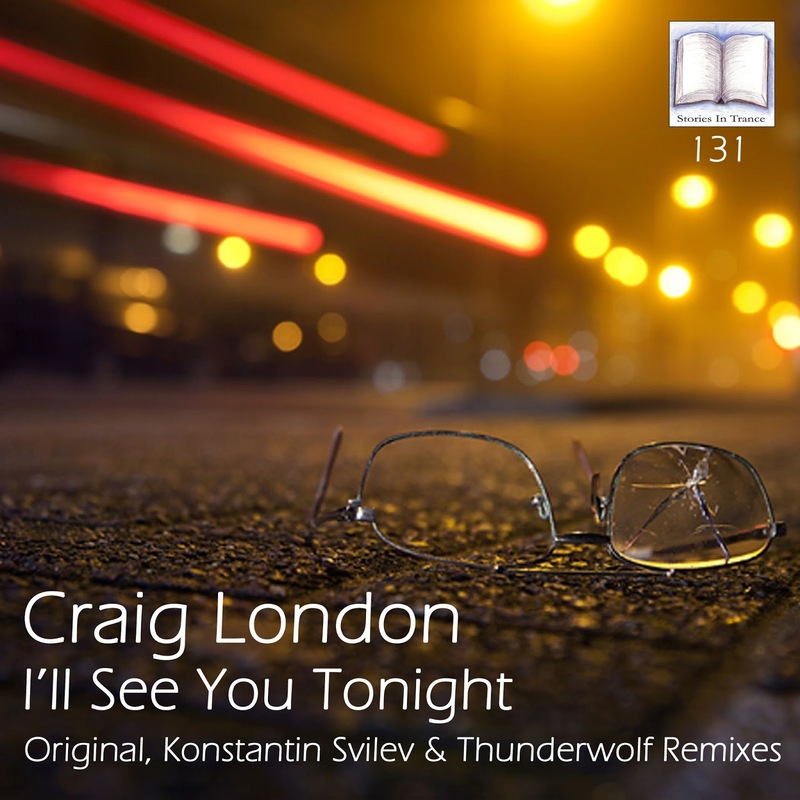 Craig backs up his most recent Original I'll See You Tonight (SIT 131) with yet another sublime track. He takes his remix down his customary energetic path, perfectly crafting an aggressive yet melodic feel, balanced expertly with the subtle yet potent pluck that gives the remix real definition. As is now customary with Craig's work the overall production technique is of the highest quality, something we have come to expect from his outings on Stories In Trance. Perfectly finished off by the mastering skills of Dan Garton, this is another fabulous offering from this very talented producer. 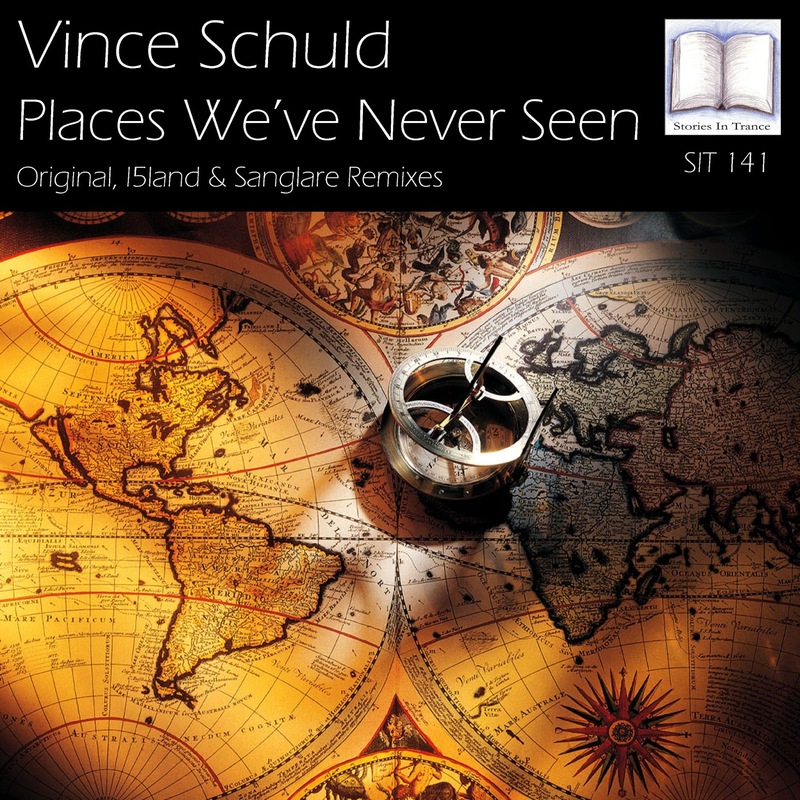 Rounding off the release in fine style is the Vince Schuld remix. 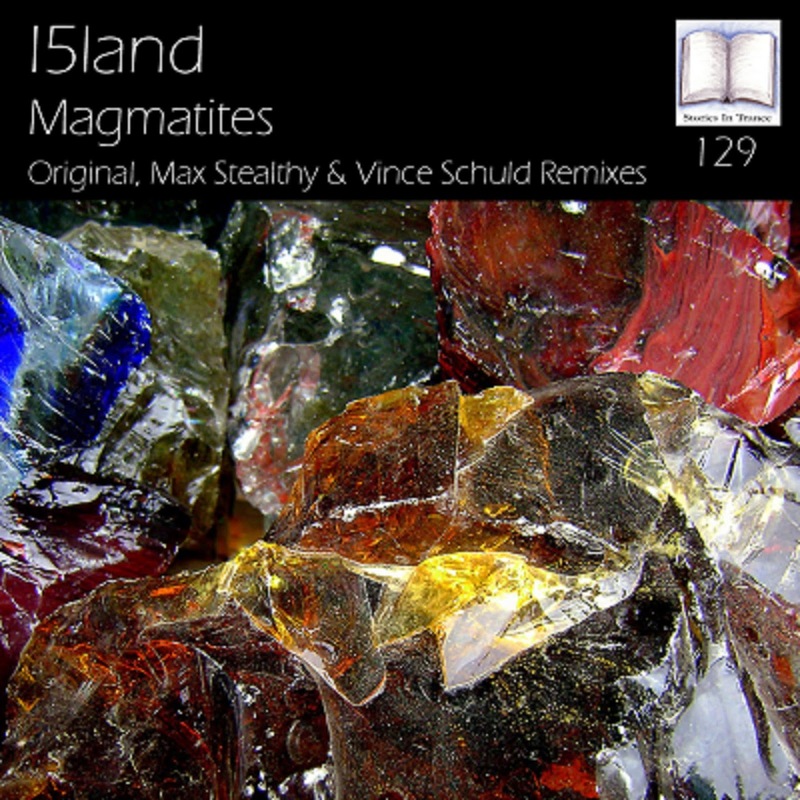 Vince backs up his first remix on SIT (I5land's Magmatites (SIT 129)) with another excellent rethink. The now unmistakable lead melody is perfectly supported by warm atmospherics, well rounded mids and driving lows. The final touches of production finesse come in the shape of the brilliant mastering from Vince. This remix is yet more evidence of why we at Stories In Trance are extremely excited about the potential Vince has to play a big role at SIT in the future. Look out for more from this exciting new artist soon! 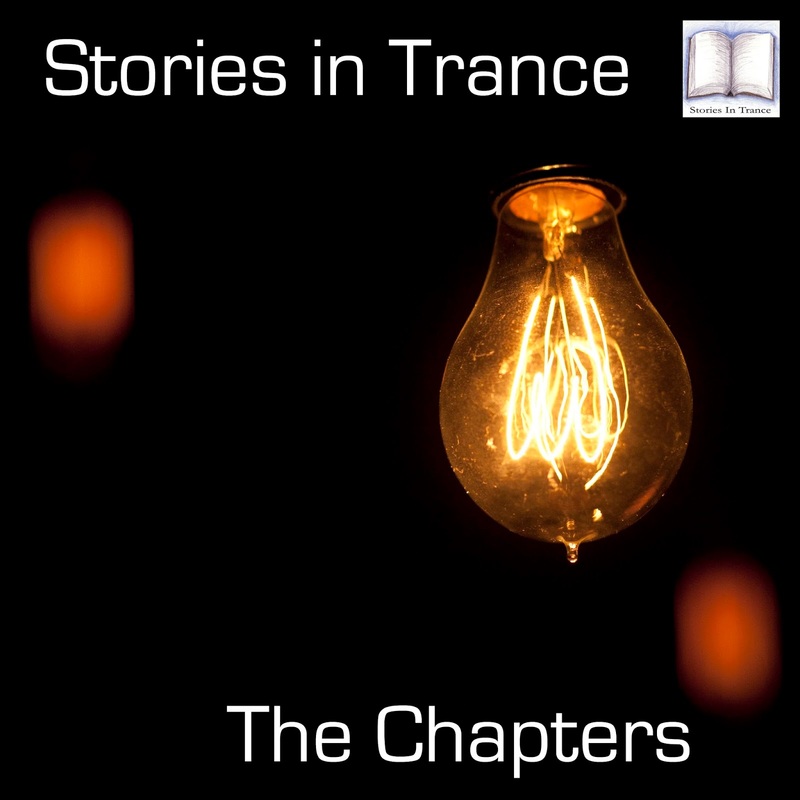 Stories In Trance Chapter 27 (Legends Of BXR) Is Now Online! 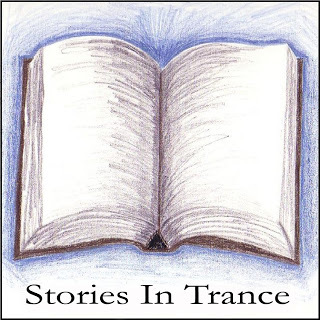 Stories In Trance - Chapter 27 (Legends Of BXR). We start off 2016 with a special edition dedicated to the legends of one of the most influential labels ever! BXR. Featuring some of our favourite tracks and remixes from Saccoman, CRW, R.A.F. by Picotto, Franchino, Mauro Picotto, R.A.F. Zone, Mario Piu, DJ Pure, DJ Arabesque, Lava, Megamind and Massimo Cominotto. Released on Friday 22nd January 2016. 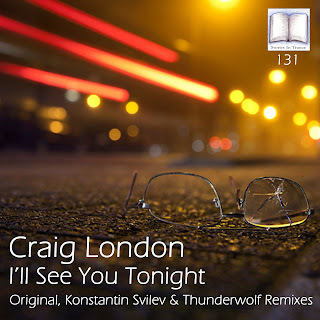 Stories In Trance give to the world SIT 131 by Craig London with the three track single I'll See You Tonight. Headlining the release is the Original Mix. Craig backs up his most recent remix of Joren Heelsing's The Cover Of The Night (Re-Covered) (SIT 128) with yet another sublime production. 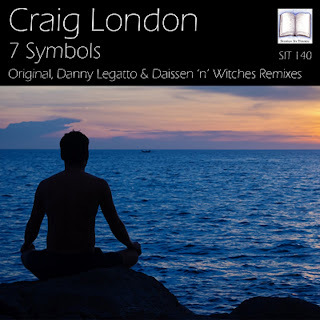 He takes his original version down his customary energetic path, perfectly crafted with an aggressive yet melodic feel and blended expertly with the mesmeric vocals, all within the overall production quality one now expects from Craig London’s outings on Stories In Trance. Perfectly finished off by the mastering skills of Dan Garton, this is another fabulous offering from this very talented producer. The first of two remixes comes from Konstantin Svilev. Konstantin made his debut with SIT at the start of 2013 and since then has played a big part in creating the legacy of Stories In Trance with several fine tracks and remixes, most recently with his truly superb Original track Flight (SIT 126). He is at his very best again with this energetic remix, delivering an uplifting masterclass. Using the great lead melody in conjunction with creative layering of atmospheric mids balanced with the vocals, dynamic musical progression and as always his production flair, the piece comes together in fine style. This offers a brilliant alternative to the Original version and adds another excellent track to Konstantin Svilev's production discography. Finishing off the remixes is Thunderwolf. One of Taiwan’s finest, Tseng Chih Young made his debut with us in the Summer of 2013, and since then SIT have been proud to present his many outstanding tracks and remixes under the now well established Thunderwolf moniker- the most recent being his original The Lost Valley (SIT 130). This time he takes his newest remix down a progressive route and the end result is something really special indeed. Superbly crafted melodic components are enhanced further by rich atmospheric layering and garnished brilliantly by the vocals giving the track a beautiful and authentic feel. This is another fantastic creation from a truly excellent producer. We are happy to share with you our January 2016 chart (Part 2) on www.trackitdown.net. 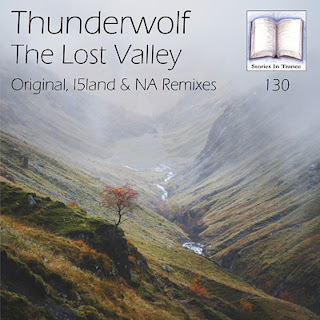 The guys at Trackitdown have featured SIT 130 Thunderwolf - The Lost Valley and have asked us for a new chart. The chart features some of our favourite tracks and remixes from artists such as I5land, Vince Schuld, Basil XM, NA, Vaali, Craig London, Dan Dobson, Flatlex, Daniel Kandi and A.R.D.I. & Proyal. Released On Friday 15th January 2016. Stories In Trance hit the 130 mark with Thunderwolf and his three track single The Lost Valley. Kicking things off is the Original. One of Taiwan’s finest, Tseng Chih Young made his debut with us in the Summer of 2013, and since then SIT have been proud to present his many superb tracks and remixes under the now well established Thunderwolf moniker- the most recent being his original Nothing Will End (SIT 114). This time he takes his newest original track down a progressive route and the end result is something really special indeed. 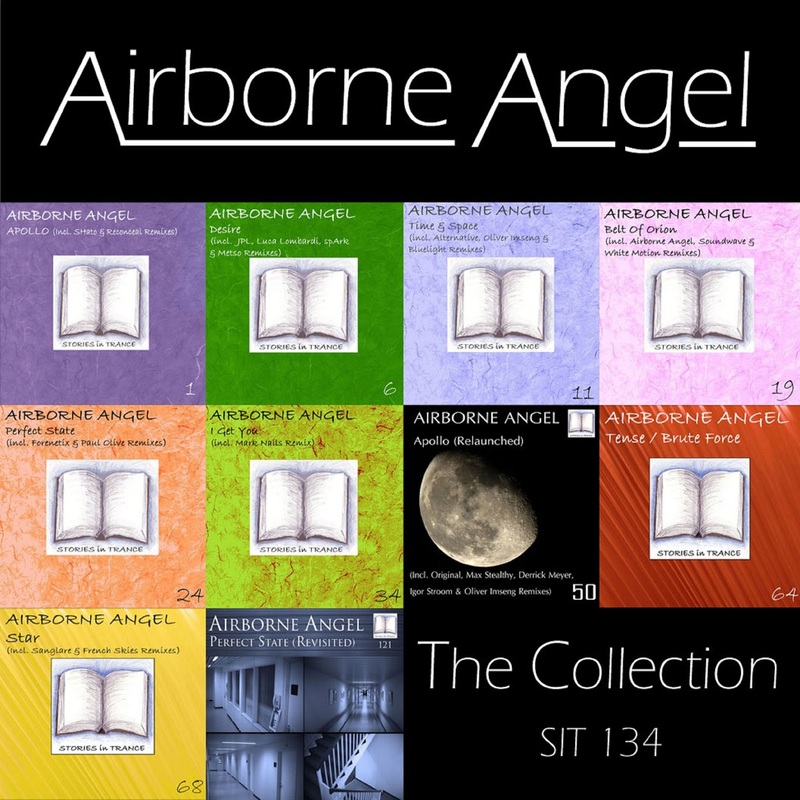 Superbly crafted melodic components are enhanced further by fantastic atmospheric layering which gives the track a beautiful and authentic feel. This is another brilliant creation from a truly excellent producer. The first of two remixes is from Czech producer Ludek Simcik under his moniker I5land, who makes his second of what we hope is many appearances on Stories In Trance with this great remix, following his debut original Magmatities (SIT 129). All at SIT have been fans for some time now of I5land's work, so we were delighted to get him involved on Stories In Trance. This remix is a more uplifting version of the original; expertly produced with great energy, excellent melodic touches and sublime production finesse all coming together in this top-class track and a very creative take on the original. The second remix comes from NA with his Zombie Outbreak remix. 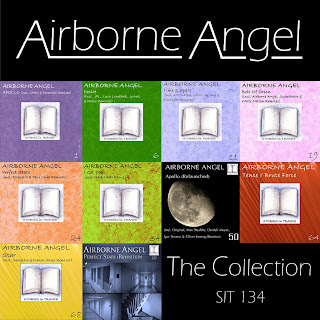 Suthat Naruenartwanich, under his NA moniker, presents his second remix on SIT following on from two excellent originals Interstellar (SIT 122) and Dawn (SIT 124) and his fabulous remix of Konstantin Svilev's Flight (SIT 126). With this remix he shows yet more versatility, with a similar flavour to I5land's version in recreating the definitive lead melody in an overall more uplifting style. Additionally, it perfectly combines aggressive mids and driving percussion to fine effect, all superbly rounded off by the mastering of SIT's finest, Dan Garton. Another stand out production from a very exciting up and coming artist who continues to enhance his reputation further with tracks of this quality. We are delighted to share with you our January 2016 chart on www.trackitdown.net. The guys at Trackitdown have featured SIT 129 I5land - Magmatites and have asked us for a new chart. The chart features some of our favourite tracks and remixes from Stories In Trance over the most recent releases. With productions from I5land, Craig London, Max Stealthy, Matt Mancid, Vaali, Sakiva, Airborne Angel, Basil XM, Konstantin Svilev & NA. SIT 129 I5land - Magmatites. Released on Monday 4th January 2016. Stories In Trance kick off 2016 in fine style with SIT 129 by I5land with the three track single Magmatites. First up is the Original mix from Czech producer Ludek Simcik under his moniker I5land, who makes his first of what we hope is many appearances on Stories In Trance with this great track. All at SIT have been fans for some time now of I5land's work on labels such as Sorcery, Vectiva, 4Beat, Club Nation, Soul Waves and Niika among others, so we were delighted to get an original production from him on Stories In Trance. Magmatites is a beautifully crafted track with great energy, excellent melodic touches and sublime production finesse all on display here. The first remix comes from SIT legend Max Stealthy. As with all of Max Stealthy's productions on SIT the composition is second to none, the driving yet delicate melody and subtle usage of the beautiful and euphoric atmospheric layering all make a fabulous remix. We have always loved working with Max and with tracks of this standard it's very obvious why. A truly talented artist and a true gent, it's always an honour to showcase Max Stealthy's work. 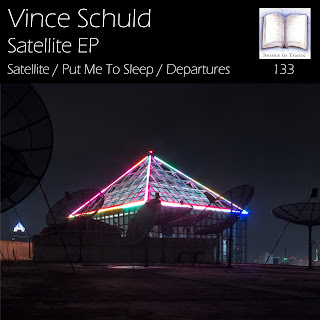 Finishing off the release is the Vince Schuld remix. Hailing from Chicago, Vince has a rich musical background in various genres but of recent he has turned his attention to his first love of trance music. His first remix on SIT is something very special indeed. The attention grabbing lead melody is perfectly supported by warm, well rounded mids and driving lows and subtle yet potent percussion. This remix is perfect evidence of why we at SIT think Vince has the potential to play a big role at SIT in the future. Look out for more from this exciting new artist soon!